Summer Trip to Yellowstone National Park! Two Wing School teachers brought students on the ultimate in field trips! 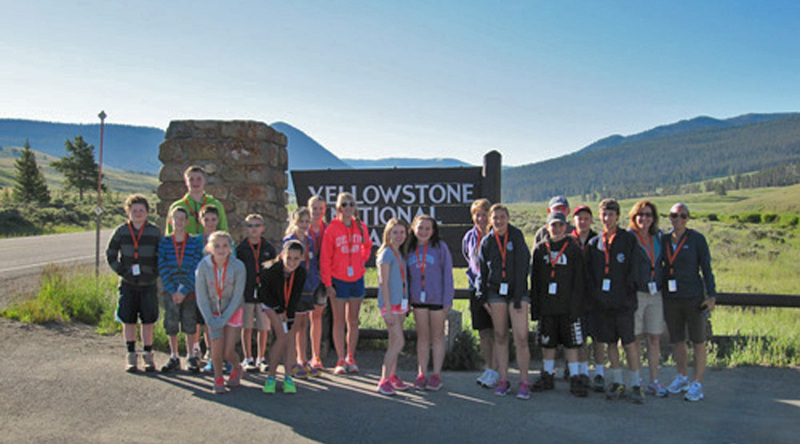 Twelve seventh and eighth grade students from the Wing School traveled to Yellowstone National Park to participate in a STEM inspired field trip. Students were recommended for the trip based on their leadership and citizenship qualities. After arriving in Bozeman,MT., they were joined with five students and their teacher from Anacoco, LA. Throughout the week students participated in lessons in the field, adventures in the wild, and environmental outreach. During their stay, the group was based at the 320 Ranch in Montana. Several days were spent in Yellowstone National Park, under the guidance of a National Park Ranger, studying the unique geological features and ecosystems. The students explored Upper Geyser Basin, took the temperature of many hot springs, and watched Old Faithful erupt. The hike down into the Grand Canyon of Yellowstone and lunch at Artist’s Point was a breath taking experience. 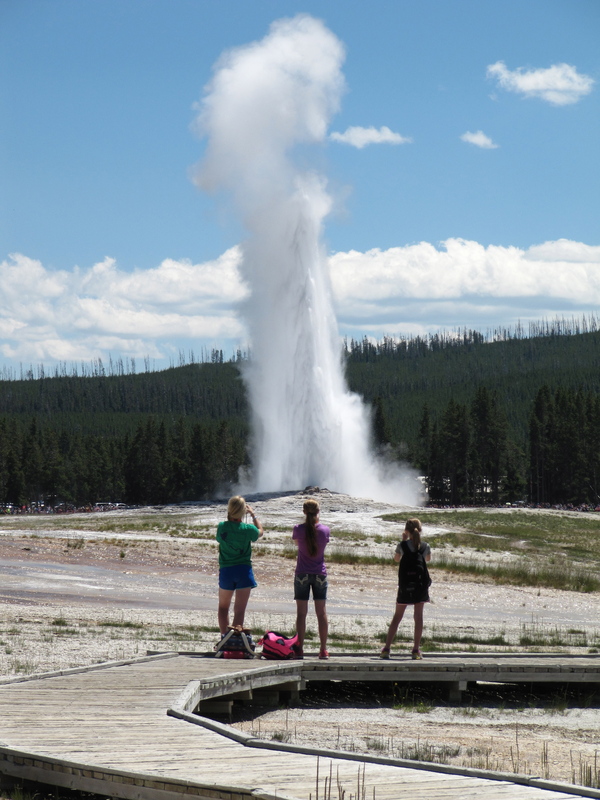 Students observe one of the many geysers in Yellowstone. Hiking through the beautiful landscape was part of every day. Students painted watercolors of Hayden Valley, were visited by a bald eagle, and watched bison graze in the meadow nearby. While learning about the reintroduction of wolves, they used a tracking device to recover a lost wolf collar. 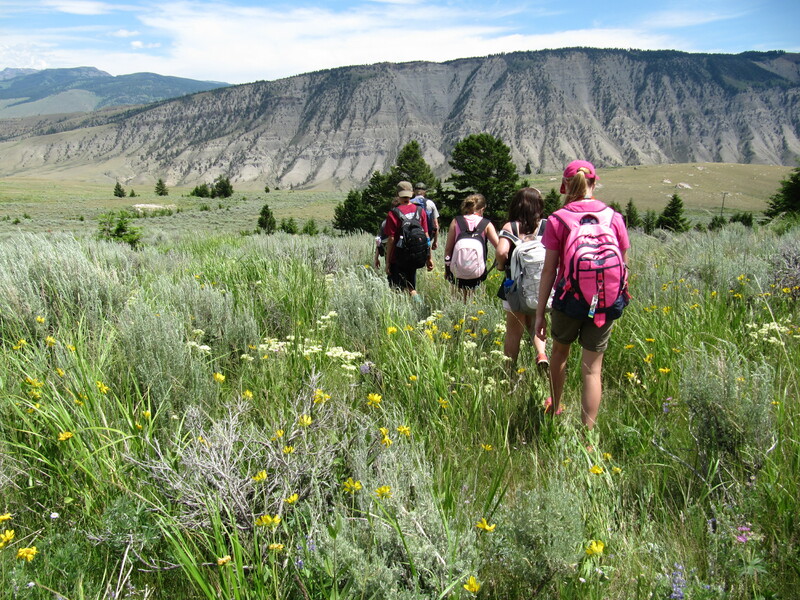 The students blazed their own trail through the sagebrush led by Ranger Matt at Mammoth Hot Springs. They also collected data on the land snail, as part of a National Park Service Project in the park’s deteriorating Aspen Forest. To round out their adventure, students went horseback riding, white water rafting, and fly-fishing. Back at the ranch, a pig roast, a chuck wagon, and star gazing Montana style rounded out the days. This memorable experience filled with education and adventure is one that will not be soon forgotten.